In case you have been holding off spending the $25 on the piece of cardboard that is helping to change the world, now is your chance to get one for free (minus ~$12 shipping and handling). 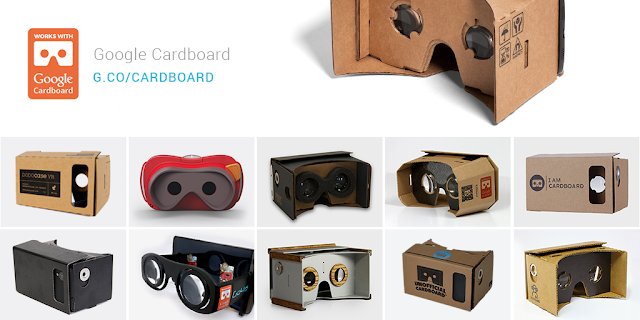 Last night DODOcase, an official Google Cardboard partner, began a limited time promotion to give away the V1.2 viewers free as a way to celebrate yesterday’s Google Cardboard Certification Program announcement. The new program is created with the intention of creating some standardization in the smartphone viewer market. Before this program, there was a big problem with the expanding range of Mobile VR Lite devices (which are different from the GearVR/Mobile VR, due to a lack of internal hardware) namely, differences in things like focal length, input, and inter-lens distance. When these things differ from how they are configured in the apps, it can result in a lesser experience for the user. The new program will allow for each device’s parameters to be determined and then, using a QR code printed on the device, users can scan in and all of their Cardboard apps (that are participating in the program) will be instantly optimized for that specific device. The program is ultimately great for everyone involved as it solves what was truly a growing problem. It will be interesting to see if Google allows for user customization on these types of parameters as it seems one of the major design trends on the higher-end Cardboard class devices is adjustable IPD (changing the distance between the lenses), so that may make it difficult to define a locked set of parameters for those devices. The DODOcase viewer is Cardboard at it’s roots, an easy to assemble, DIY device that transforms your phone into a rudimentary VR device. If you haven’t gotten a Cardboard yet, be sure to get yours today, even with shipping and handling it is still the cheapest you are ever going to get it. Hurry though, they will only be that way for a limited time.